For the most precise masking jobs. Proud craftsmen always aim for the highest results. Tander Fine Line Tape is ideal for precision masking. Excellent colour separation, spraying multiple colours, masking wheel rims or custom painting - all done with ease using this thin (0.137mm/0.0054 inch) and flexible tape. Precision jobs demand the best products. That's why craftsmen choose Tander Fine Line Tape. This tape is designed to offer a high degree of conformability without excessive stretch. 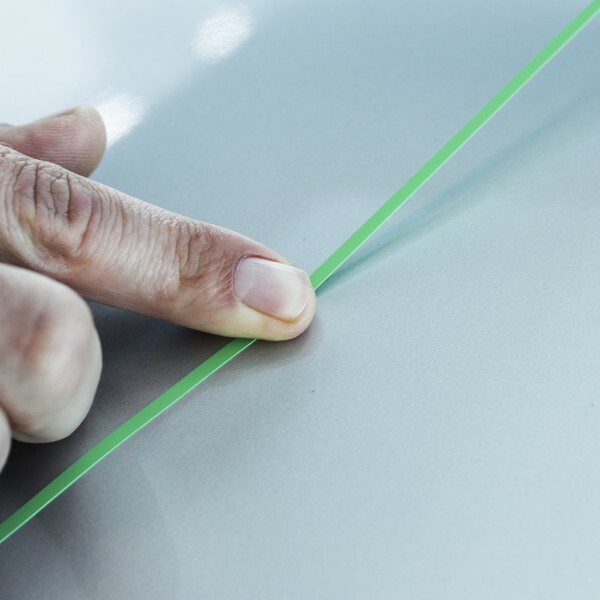 The tape adheres to a wide variety of surfaces and can be used in combination with water-based coatings. The tape leaves no residue when removed. Recommended use: preferred for medium to high temperature applications where a sharp fine line is required. Temperature Resistance Takes a double bake at 130° C for max. 30 minutes per bake. For what kind of paint is this tape suitable? The Tander Fine Line Tape can be used in combination with both conventional and waterborne coatings. What is the heat resistance of this tape? The Tander Fine Line Tape has a temperature resistance of max. 130°C up to 30 minutes. Can I use this tape for custom painting? Yes, the Tander Fine Line Tape is highly flexible so easy to curve and comes in four different small widths, making it a suitable tape for custom painting.